Salinas is a coastal modern- resort city in Ecuador, with wide beaches and attractively priced hotels. This World Cup is mainly flat and fast with one small hill of 26.5 meters in elevation. 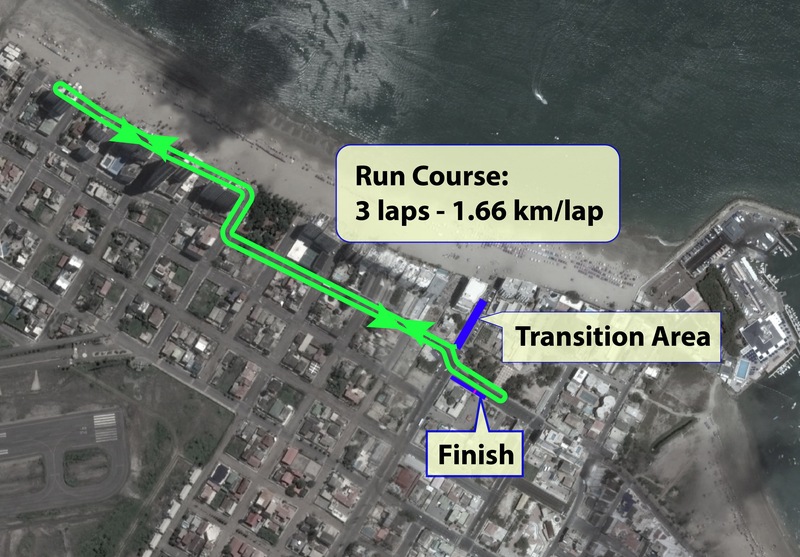 The bike course and run course use the boulevard along the beach, called Malecon where beach goers gather along the course to sheer on the athletes. The course then enters a Naval Base which provides security and quiet roads. 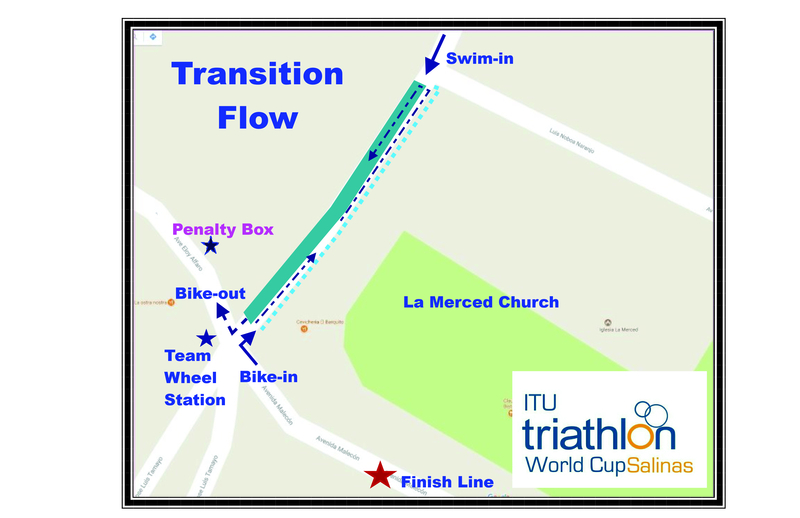 See our YouTube video link for a virtual tour of the course: https://www.youtube.com/watch?v=mXi1vrg3qLo. Ave. Malecon, between 38 and 40. Location: Meeting Point for Bike Familiarization: Avenida Malecon, in front of Chipipe Church (Iglesia de Chipipe). 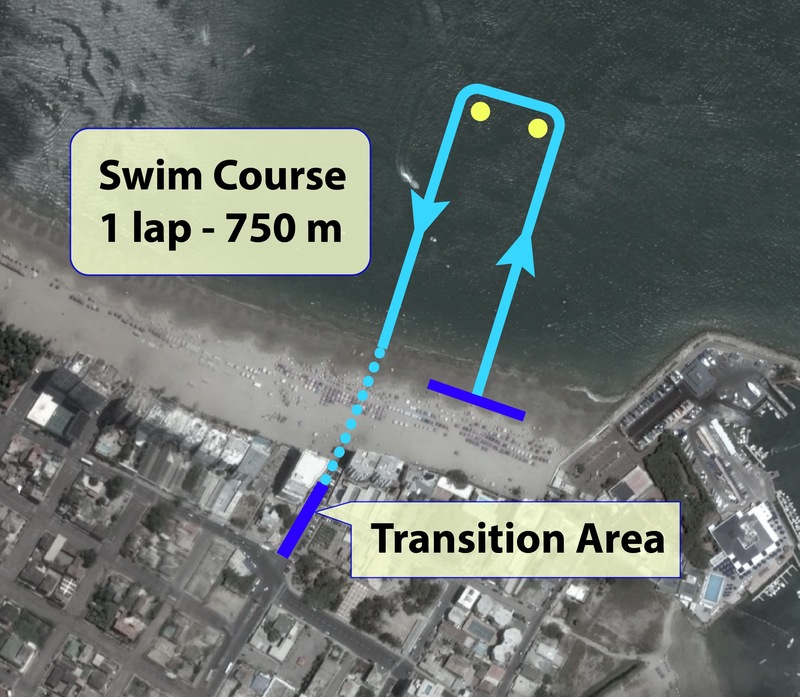 Meeting Point for Swim Familiarization: On the beach North of the same church (Chipipe Church), known as Chipipe Beach. The nearest airport to Salinas is Guayaquil, airport code GYE. The organization will provide Elite athletes and their delegations with transportation to and from the hotel. Salinas is approximately 138 Km from Guayaquil. Allow a minimum of 2 hours for the drive from Guayaquil to Salinas, and additional time for the transfer back from Salinas to Guayaquil if you are flying from Guayaquil. Calle 12, between 4th and 5th Avenues.